While this previous blog certainly touched on the team aspect of analytic work, recently I’ve been thinking about just how much teamwork is required to make an analytics project successful. From extracting data, transforming data, loading data (or loading then transforming for the ELT crowd), analyzing data, examining the results, sharing results, taking action up on those results and feeding those results back into data - a large network of individuals working as a team is required for a project to be a success. Similar to a baseball team – and the motto "there is no ‘I’ in team" - if the teammates on an analytics project don’t work together the results will most likely be disappointing. Wanting to work as a team doesn’t always guarantees success. I’m sure you’ve seen your favorite athlete drop a ball or make a bad pass. But the willingness to be open and accept the idea that you are the member of a team on an analytic project will go a long way toward success. The data experts need the input of the analytic experts, just as the analytic experts need the input and feedback from business. Let’s follow the chain – if the data person doesn’t know or understand the data requirements the analytic resources might be left with good old ‘garbage in, garbage out.’ If the analytic resources don’t understand the business needs, they may get data in great shape, come up with the most excellent of models that don’t tell the business *anything* and the results are never acted upon. Dollars are wasted by the business. Similar to a baseball team whose roster may include the highest paid, most fit and strongest athletes, but if they don’t work well together, they will not achieve successful results. If you would like to learn more about building your analytics team and analytic teamwork, you can attend the Analytics 2014 conference in Las Vegas Oct. 20-21. Many speakers, including myself, will be presenting on ways to maximize your analytics talent. Also, pre-conference training is offered on October 19, and post conference training October 22-24, that will help your analytic teams excel! Patrick is a Senior Manager at SAS where he leads the U.S. Business Analytics practice. The practice’s analytical consultants are responsible for data mining, forecasting and predictive modeling solutions across a wide range of industries. 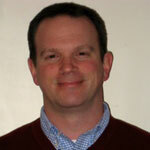 Pat has over 20 years of experience in the areas of statistical analysis and predictive modeling. In prior roles he has served in Sales and Marketing at SAS, an analyst in the CPG industry and a project coordinator in health care research.